Plage de Léoube – a stunning beach in the Var area, South of France, Provence-Mediterranean. You can discover this treasure on foot from “Camping de La Pascalinette”! This magnificent sandy beach can only be reached via the coastal footpath. So remember to take along a picnic, water, a hat and good walking shoes! 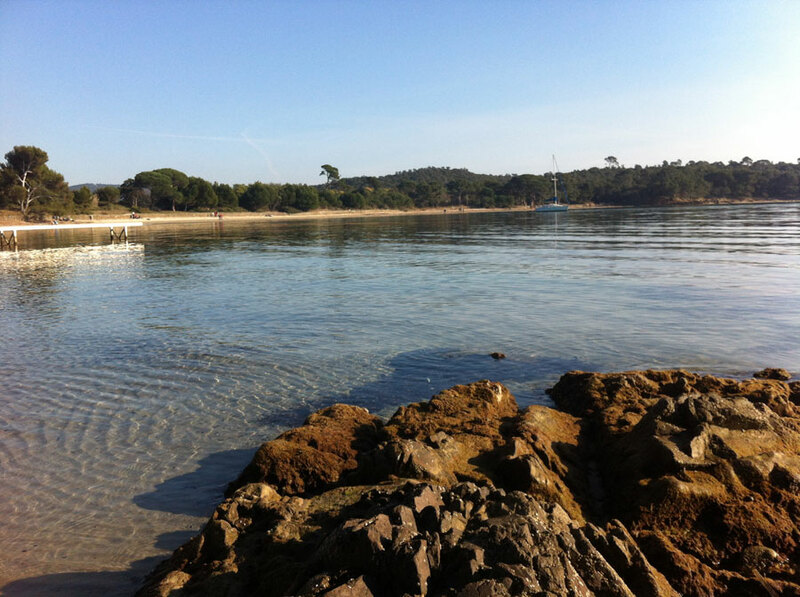 Located ¾ – 1 hour from Plage de l’Argentière in La Londe-les-Maures, Plage de Léoube is a magnificent beach, lined with vines and pine woods. And the views over the little island of Léoube are simply breathtaking. At Plage de l’Estagnol car park (then take the coastal footpath to the right of the beach). A blend of sand and shingle, this wild beach with its translucent waters will delight all ages. You will find a shaded area to the left of Plage de Léoube.